Welcome in all. 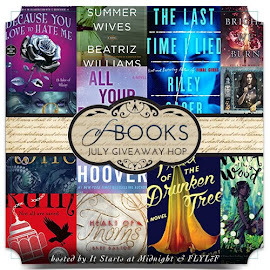 And so our final winner for celebrating one year of It's Monday on the Book Date blog was Sarah from Sarah's Bookshelves, congrats to Sarah who chose the $15 Amazon voucher. Talking of winning, I was thrilled to win a copy on Twitter of Jodi Picoult's latest - Small Great Things from one of our national booksellers. It's funny really, I swim in review books and TBR actual books on my shelf and Kindle but a book win always delights! The vegie garden is beginning to come alive as the potatoes and beans are up above the ground and so is some corn. From now on in will have to water, the soil is sandy where I live about 7 km from the beach but still ..... sandy! I have some tomato plants to plant out in a week or so and a few lettuces in. 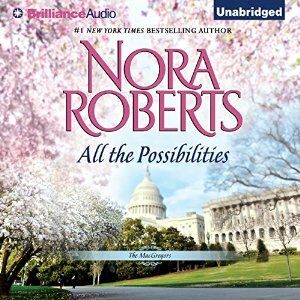 I finished the audiobook, I liked it and it was extremely well narrated, which really enhanced it. I read as well for review, very entertaining. Another in the Lowcountry series and a 5 star read, perfect Christmas story. Could easily be read as a stand alone. From my TBR shelf I read. 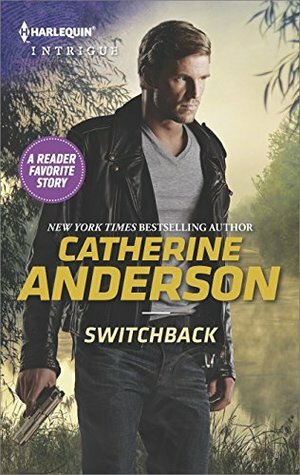 Switchback was a reissue of a book from the '90's, romantic suspense - was a good read. 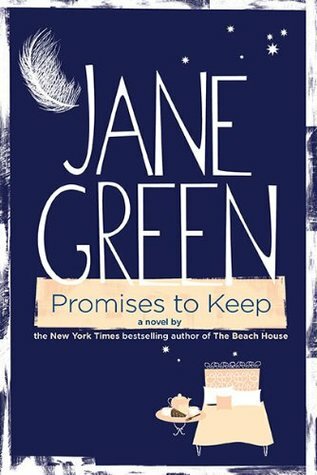 Promises to Keep was somewhat sad and now I need something bright to read! So I wanted something light and bright after my last sad read so where do I go to? Searches bookshelves! I pick out this one by Kristan Higgins that I just bought. I read the reviews of people I follow on Goodreads. 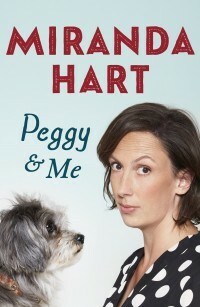 Mary (I trust her taste in books) says "I got 5 stars worth of laughs out of this book" Well that decides me, so this is what I started reading today. Sometimes I read to experience and learn, today I want to laugh and be totally entertained. Thank you Kristan Higgins. Unfortunately I have nearly read all of her backlist now, but then... there is always rereading! I was planning to read this one right now but putting it away by one book while I read something bright! Congratulations on your contest win. I thought Small Great Things was really good. The Christmas book sounds nice. I enjoy Kristan Higgins's books too. I'm glad she's branching out beyond romance too. 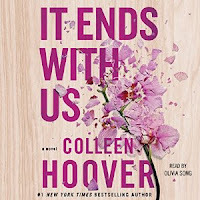 I loved If You Only Knew and I'm looking forward to her new one that's out in January. I think a book win is always special. :) Congrats on that. And yay for garden tomatoes- those are the best. Happy Monday- hope your week is good! I loved It Ends With Us...and Faithful. A Lowcountry Christmas is on my list. Enjoy! Thanks for hosting. Yes - wins always make us happy even when our shelves are full. Glad your garden is doing well. Ours was overtaken by weeds with Bob down for his surgeries this summer. Maybe next year. The Catherine Anderson title caught my eye. I'll keep Lowcountry Christmas in mind for holiday reading. I hope you have a great week! 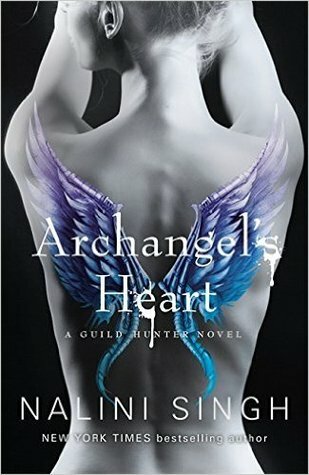 I love the cover of Archangel Heart. A book with a lot of laughs sounds like a great idea to me. Enjoy your week! Good choices! I've only read Faithful, but that is not an overly cheery story, so good you went with one that will pleasantly entertain first. I totally get what you're saying. Sometimes we crave drama and angst.. and sometimes we just don't. A lowcountry christmas looks like a good book. I have to put that on my list to read. Kristin Higgins looks like the perfect book after reading some angst type books. I changed some of my reading choices this week because of my mood (and the type of book preceding it!) as well! Well done on the gardening front! Congratulations on winning the book...there is something so cool about winning that can't be beat! Hope you enjoy it. I read it and did but I'm a big fan. Have a good week. 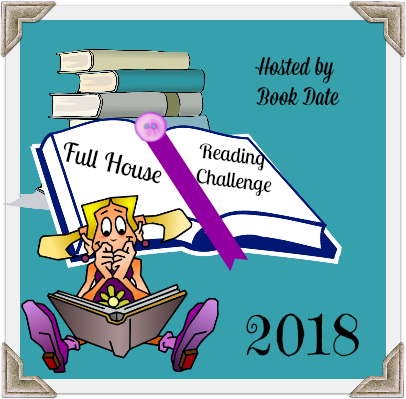 A variety of really great authors and books featured here - I quite enjoyed It Ends With Us also; it was my first reading experience of the author. I read in print but I feel like an audio would have lent nicely to the story. Yay for winning books - and a great title too. I'm eagerly anticipating getting my hands on Jodi Picoult's newest novel. 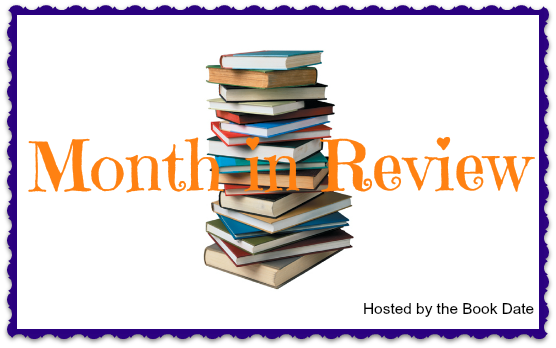 I hope you enjoy all current and upcoming reads. Have a great week, and happy reading! Love hearing how things are growing as our gardens are shutting down for the winter. Wonderful week for you book wise and garden wise. Books look great, and the planting sounds terrific. LOVE gardens. Tomatoes are my favorite. It sounds like your veggie garden is flourishing. It must be rewarding. Congrats on the Jodi Picoult book win. I know the feeling, despite all the books we have, it always feels so good to win a freebie! I hope you enjoy it. 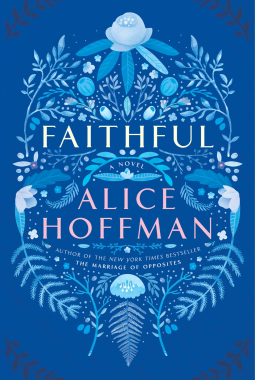 I would love to read Faithful by Alice Hoffman. 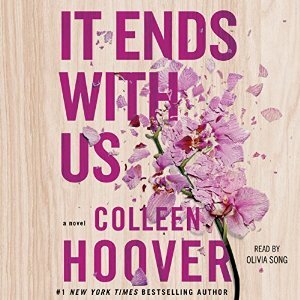 I also love the cover of the Colleen Hoover book. It seems to be very popular, I have seen it around many blogs I have visited. 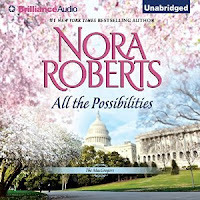 Enjoy the rest of your books... Nora Roberts, Kristan Higgins and Jane Green, all guaranteed great reads! Congratulations on winning the book! It's always thrilling to win books - especially when one has forgotten entering a contest (as I did last week). 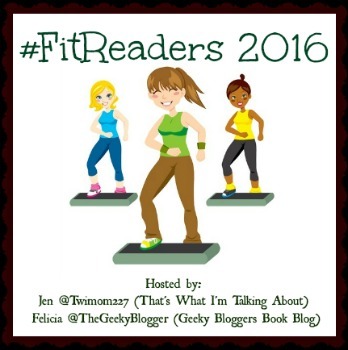 I'll have to check out Kristan Higgins. I have not read any of her books, but first I want to diminish the pile of TBRs I already own (an uphill struggle). Growing your own veggies is a wonderful way to get fresh produce and to experience the beauty of growing things. I grew up eating the food my father grew in his garden. You're reading some good books. I agree that after a sad book it's good to read a fun, light read. Enjoy your reading week! Congrats to Sarah and congrats to you on your book win! All of your books look really good. Enjoy! I loved Small Great Things. She writes about tough topics but her books are always soooo good. Have a great week and happy reading! I am so interested in the Alice Hoffman book! Hi Kathryn! I've been a bit absent, but as far as possible - I will try to float in the blogosphere again. Congrats on your twitter win! I still want to read the new Jodi Picoult. Anything by Alice Hoffman I will devour! Hope you get to it soon. Happy week to you! Congrats on the win! I've only read one Picoult book but found her incredibly readable. Hope you enjoy it! 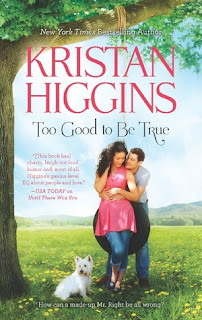 I've read one Kristin Higgins book and really enjoyed it. It's definitely an author whose backlist I'd read love to explore a bit more. Have a great week! Ah, spring - that sounds nice! I actually love fall, but - as my husband often points out - it does mean winter is coming! Sounds like you have a great variety of good books recently,,,with more coming up! 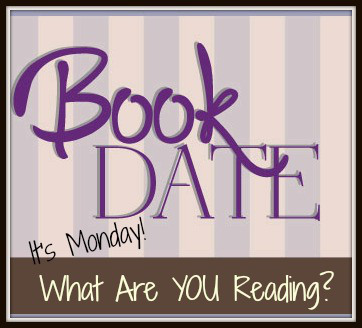 Enjoy your books & have a great week! 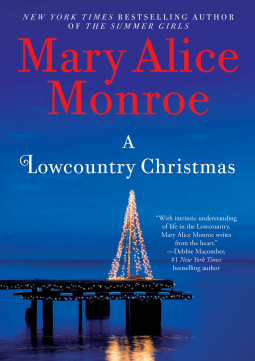 I am going to read Lowcountry Christmas! I always look for a good Christmas book--thanks. Congrats to Sarah. I'm glad to hear Monroe's Christmas novel was good and is a good stand alone as well. Have a great week Kathryn. It's always fun to win something you love. I will have to check out that Kristin Higgins book as laughs are always a must. I didn't know potatoes had plants that sprouted above ground. Will have to Google that. Nice to win! enjoy all the books and have a good week.